If you are a home gardener and want to grow something which will adorn your garden and at the same time will be useful to you (rather than being just showy), consider currants! This is a beautiful fruit (and its flowers too) to look at. Plus there are many reasons to grow them; firstly, they are extremely easy and hassle-free to grow, so you require not much knowledge of gardening; secondly, they give you a large yield of a highly nutritious food item; plus, they enhance your garden’s looks with delightful colors, with the main varieties being black, red and white. You can grow all these varieties at the same time, because you need to conduct almost the same maintenance routine for all of them. The only difference perhaps is that while blackcurrants need very basic pruning, red and white varieties need a little more intense pruning, somewhat like gooseberries. In this article, you will be introduced to currants and will know the basics of how to plant and grow black, red and white currants. This will surely encourage you to grow this amazing fruit in your home garden. Currants come in multiple species under the genus Ribes. They are sweet and sour flavorful fruits and mainly come in the following varieties (typically classified by their colors). Black Currants: Black currants (Ribes ussuriense or Ribes nigrum) are known for their strong flavor that makes them perfect for syrups, jellies and similar food products rather than eating fresh. 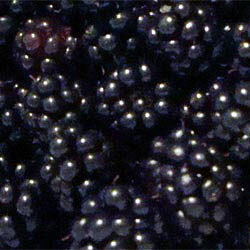 However, black currants produced by ‘Boskoop Giant’ and ‘Noir de Bourgogne’ are flavorful too. 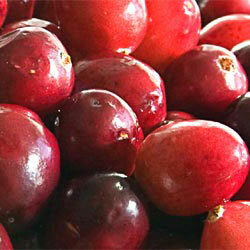 Also fruits by ‘Ben Sarek’ and ‘Titania’ are large and sufficiently sweet to eat fresh if properly ripen. Black currants are self-sterile partly, so, it’s better to plant its two varieties close to each other. 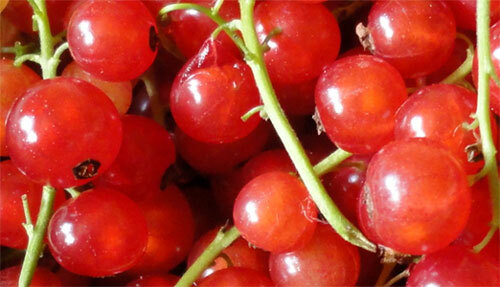 Red Currants: These are typically used for making juices, jellies, purees and more. They in turn have varieties like ‘Cascade’ featuring a large and sweet fruit, ‘Red Lake’ having a vigorous species having prolonged periods of blooming and ripening, and ‘Wilder’ with a spreading tendency and extreme productiveness. Red currants are usually self-pollinating but in some conditions benefit from cross-pollinating with another red variety or a white variety. White Currants: These have 3 species, R. rubrum, R. petraenum and R. vulgare, and typically have lower acid content than other varieties, so they are good to eat fresh. The best variety of white currant is almost transparent. White currants also come in categories like ‘White Dutch’ featuring sweet, succulent berries and ‘White Imperial’ producing a large quantity of small berries with much low tart. Just like red currants, white currants too are usually self-pollinating but can cross-pollinate with another white variety or a red variety. 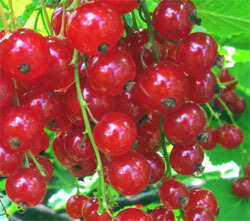 Pink Currants: Ribes vulgare or pink currant is an intermediate between white and red currants. It has colorless skin and pink flesh. ‘Gloire des Sablons’ is enjoyed for its large size and productivity, while ‘Pink Champagne’ is known for its highest sweetness among currants. 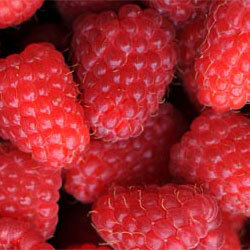 Another type is ‘Rosasport’ which is also flavorful and suited for eating fresh. Yellow Currants: Yellow currants or R. aureum is also called golden currant or buffalo currant. Another species R. odoratum is also closely related to it. This is perhaps the most drought-tolerant species among currants. Yellow currants are highly benefited by cross pollination. Here are step-by-step directions for propagation of currants. Do it in Early Morning: You should do the propagation process on an early and cool morning, probably in June or July, because stems have high amount of moisture at this time. Choosing Appropriate Wood: There is no rocket science to decide this; but, roughly if the stem on the top is around 3 year old and that on the bottom is a year old, you will need the bottom one. There are a few things that help you to distinguish it, e.g. younger wood is lighter in color and should neither be too green nor too woody (a too green stem will easily bend but won’t break, while a too woody one will break but won’t bend). It also has tighter buds. Once you identify it, cut it about 12 inches long. By far, fall is the best time for this, when it’s dormant, but the soil is not still frozen. Cut Buds: Make a cut on the bottom of your cut stem just under a bud, making a little of an angle. Cut all the buds on the 6 inches of bottom. Remove Tip: Cut tip of the stem so as to eliminate the ‘apical dominance’ of the tip and to compel it to bush out. Fix it in the Soil: Fix the stem 6 inches deep in the soil, up to the point where you cut off all the buds. Cover Stem with Straw: This is useful, though not essential. A thick layer of straw regulates temperature and prevents heaving out of the stem in winter. So, this pretty much ensures passing of winter successfully and start of leafing in spring. You can let them do that in that location and next year, you can plant it wherever you want. Once you get a plant after propagation, you can plant it at a new spot, with a slight difference for black, and red or white currants. A good quality of blackcurrant is that it can withstand poor drainage more than other similarly soft fruits like it; however, it should be planted in well drained soil where there should be ample organic matter added and also there should be protection from strong winds. If your garden lies low and so, is prone to frost, prevent frost pockets wherever possible. There are two things you can do – either select varieties that are frost resistant (the new ‘Ben’ varieties) or cover plants in April with frost guard fleece that will protect flowers because for getting fruits, there should be flowers in the first place. When you plant a fruit tree or bush, it’s extremely important to prepare the soil. This is because unlike vegetables, fruit plants stay in the same location once you plant them; so, you get only one chance to prepare the soil. In case of blackcurrants, it’s advisable to attend the soil around 4 weeks before you start planting. Dig over an area of around 2 sq feet. Any perennial weed should be totally taken out and the spot should be filled with plenty of (around 2 buckets) well-rotten manure. It’s important to take out deep rooted weeds because if you notice them later around the stems, you cannot remove them because you should take care of the blackcurrant root. Bare root varieties of blackcurrants are planted by October-November (or February-March) (unlike potted plants that can be planted any time of the year). Space between both, plants and rows, should be 150cm (5 ft). When you dig a hole, keep in mind that it should be at least double the size of the root ball, normally around 1.5 feet. Take care to spread the roots when you put the plant in the hole. Stem should go around 6 cm (2.5 inches) deeper than originally it was so that individual stems can come out from soil instead of a single trunk. Deeper planting will allow many new shoots to emerge from the base which will ultimately develop into new branches that will bear fruits. Before back filling, mix a little more well-rotten manure in the soil. Mix a small quantity at a time and tread gently while firming the ground. In the end, amply water the planting hole, as even soaking will help firm the soil around the roots of the plant. To Start with: Right after planting, you should prune each shoot to a bud, around 5cm (2 inches) above the ground. Actually this pruning is the second phase of the deep planting procedure and offers the same benefit of adding to the number of fruiting branches. This is hard pruning and will holdup fruiting until the next year since fruits are borne on stems that have grown the previous year. You will have to wait for a jam, but your bush will be nicely grown in the long run. Annual Pruning: It’s advisable to conduct yearly pruning anywhere from November to March. Actually, March is more recommended because if there are any wounds, they will be cured quickly while the bush wakes up from its dormancy in April. Winter pruning (not just currant, but of any fruit) leaves the raw cut open to the elements as plant cannot heal itself. You just remember that the fruit will be best if produced on young wood; hence any old wood must be cleared on an annual basis. This will keep your plant in its most productive condition. To identify old wood, remember that it is darker in color while young wood is pale. It is also thicker than young wood and so, quite easy to find. While removing the old wood, cut it as close to the bottom of the plant as possible; give a horizontal cut so as to prevent rainwater from accumulating in the wound. Also, all the cuts should be outward facing buds which will enable new shoots to grow outwards and not inward. This is because the new shoot emerges from the bud closest to your cut and grows in the same direction as that of the bud. You should also cut out wood that is looking weak or unhealthy. Also horizontal or low branches that are going away from the plant should be cut so as to make the bush easily harvestable and also to prevent lowly growing fruits because they get spoiled due to contact with the soil. As mentioned before, the growing conditions required by red and white currants are almost the same as that of blackcurrants, i.e. a 2 sq ft spot of soil that should be prepared with well-rotten manure. Spacing too is the same, i.e. 5 ft between plants; however, red and white currants can be grown even as single (1.5 ft spacing), double (3 ft spacing) or triple (4 ft spacing) cordon plants. This is the commonest method as it is also the simplest method and gives the highest yield. Red and white currants are not very tolerant to shade and water logging, and hence should be planted in full sun in a well-drained ground. It will also require protection from frost in April with sacking or fleece wrapped over the plants. There is a slight difference even in planting red and white currants from that of blackcurrants. While blackcurrant is planted 2 inches deeper than it was originally, red and white currants are planted at the same level. So, you can see the transformation from darker to paler wood on the stem marking the old soil level. The reason for this difference is that in case of blackcurrant plant, we desire more shoots emerging from the base of the plant whereas in case of red and white currant plants, we desire a single stem having an open shape of bush on top. 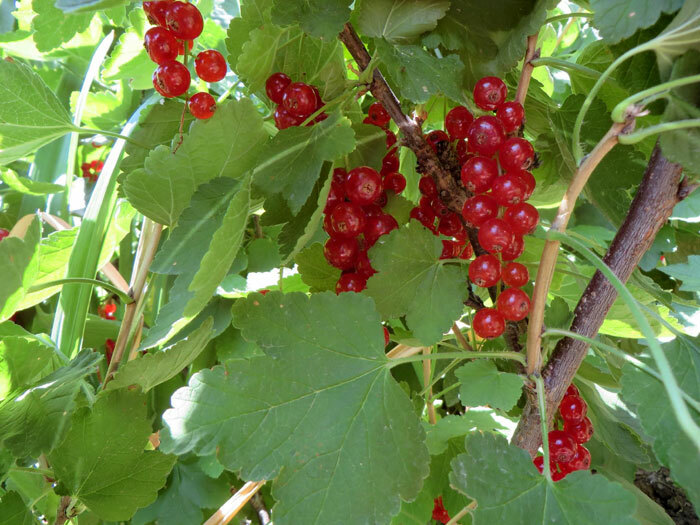 To Start with: In case of pruning red and white currant, you will have to take out any suckers from the soil at the base of the plant. Suckers are new stems emerging from the base of the root ball or main stem. Cut back all the remaining branches roughly to half of their lengths. Give a cut at an up-facing bud because that will stimulate an upward growth instead of outward. Annual Pruning: An open ‘goblet’ is an ideal shape of the bush of red and white currant, with a solitary main stem and a vacant space within the bush that would let light and air in. This shape of open bush and thin foliage at the base has another benefit of controlling sawfly caterpillars because they are not very fond of being exposed. Sawfly is dangerous and can ruin a good healthy bush extremely quickly; so, you should be careful. An open bush allows you to spot them easily and you can pick them off right after spotting them to avoid further damage. To get the goblet shape, cut any stems developing inside the bush and also any lateral branches heading towards the center. Remove also any dying or dead wood since it’s unproductive and also can be a seat of disease. The best quality fruits also grow on last year’s wood; hence any branches older than 3 or more years need to be cut too. Also remove any low and hanging branches that grow outward around the base because they will hinder your access during harvesting and also lower fruits will be spoiled. 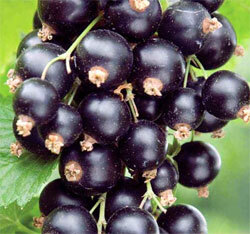 There are some common factors that can be kept in mind while growing any currant variety. Here are some of them. Keep removing weeds in the ground around the base of the bush; this can be done by hand weeding and mulching rather than hoeing because roots are not deep and hence, can be damaged easily. There is another benefit of mulching – it’s a perfect way to feed the plant with a solid layer of garden compost and/or manure containing all the nutrients needed by the plant. Currants are not very picky about soil, just be sure to avoid overly alkaline or acidic soil. They can grow in soil with pH between 4 and 7, but for the best results, the soil should be slightly acidic in the range of 6.0 to 6.5. Currants don’t like saline soils or those with poor drainage. So, the best soil is the one with plenty of organic matter which improves the drainage and feeds the plants. Remember that more manure is needed for black currants than red currants. Fertilizers should be added while preparing the soil for planting the young plants and for established plants, in the late autumn and/or late winter. Depending on the soil type, acidity, drainage, amount of rain fall etc. one has to add compost/humus, aged manure, even some sand and some balanced NPK fertilizer, preferably with gradual release of nutrients. Note that larger doses of nitrogen can promote strong growth of plants, but the plants are weak and prone to physical damage and diseases. Also note that fertilizers with potassium chloride (or other chlorides) should be avoided. Following are diseases that can commonly occur in currants. Currant Rust: This is a fungus that occurs in summer in the form of yellow spots turning red-orange. These are actually the fungal spores. Plant is weakened due to this disease and leaf malformation takes place. Apply a fungicide as soon as you see initial symptoms. Currant Anthracnose: Brown spots appear on leaves in this disease. They spread fast and cover entire plant upon which leaves fall and plant dies. It occurs usually in hot and dry weather. A suitable fungicide should be used immediately. Powdery Mildew: As the name suggests it takes place in the form of a powdery patina on leaves and is actually a fungus. It causes deformation of buds, twisting of leaves and elimination of flowering. Because of this, the plant is weakened and ultimately dies. To avoid this disease, spray plants with a fungicide and avoid overhead watering. Applying two treatments, one in winter and other in early spring, can also help. Also affected parts should be cut and disposed of so as to avoid spread of the disease to healthy plants. BCRV (Blackberry Chlorotic Ringspot Virus): This is the most dangerous disease and causes complete destruction. It mainly attacks blackcurrants and rarely red currants. Endemic in Europe, it makes a few leaves on stunted plants appear bent. There is no cure to this disease. The only solution is planting certified disease free plants. Also changing location of plants every ten years may also help. Pests that commonly affect currants are aphids, red spiders, caterpillars, coleoptera and birds. Especially birds are major nuisance for currants and to prevent them from eating fruits, plants should be covered with nets. Other objects like scarecrows, tapes or CDs, hanging pots etc can be used too. Depending on the cultivars and growing positions, currants are harvested in June, July and August. If you want to enjoy ripe fruits straight from plants, it’s best to let them stay on the plant for around three weeks after they get color – picking the currants at the right moment is sometimes like picking the watermelons – you never know what you have until you try it. 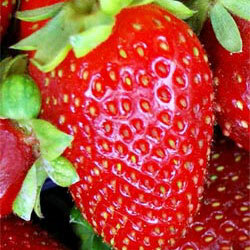 Moisture should be avoided while collecting the fruits, since moist fruits lose quality faster. 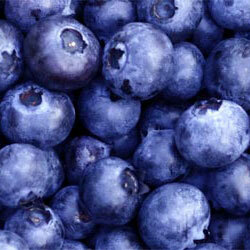 Fruits can be stored for around a week or two in refrigerator. Perhaps it’s better to prepare a jam from the currants, either only of currants or in combination with other fruits, for example, a few apple pieces can be added to the jam to reduce tartness and increase thickness. Growing currants is usually done in the open ground and maybe because of this, growing them in containers rarely comes to one’s mind; but still, they can be grown in containers, too. Growing them in containers have many advantages, especially in smaller gardens and in colder climate. Currants can be very decorative plants and growing them in containers help the gardener to place them on the best spot. Also, growing them inside during really cold winters help the currants start the growing season earlier and prevent the damage from the frost.